The fruitless mulberry is not a variety in itself; it is the male clone of any mulberry tree variety. The most common variety cloned is the white mulberry tree (Morus alba). The fruitless white mulberry tree is a tough, versatile tree often grown in hot inland areas. With wide leaves and a dense, spreading crown, the fruitless mulberry provides welcome shade. Despite its many good traits, the fruitless white mulberry tree is not suitable for every landscape. The white mulberry tree (Morus alba) is native to Asia. Other varieties, such as red mulberry (Morus rubra) and black mulberry (Morus nigra), are native to Europe and North America. The most common variety for landscaping, the white mulberry is also the preferred food of the silkworm and was imported from Asia to North America for this purpose. The silkworm industry was short-lived in North America, and Morus alba became a garden tree. The white mulberry had many benefits, but the fruit was prolific and messy. To counter this drawback, nurseries created all-male, fruitless stock through grafting or by rooting softwood and hardwood cuttings. A medium-sized tree, the fruitless white mulberry will grow to roughly 35 feet tall in the landscape, although some mulberry trees may grow to 50 feet. The tree has a wide, irregularly rounded crown, somewhat wider than its height at maturity. The crown is supported by many limbs branching off a short trunk. Rounded leaves are serrated, may be lobed, and rounded and lobed leaves may appear on the same tree. Fall color is yellow. The male flowers are small, green and unremarkable, but may produce large amounts of pollen in spring. 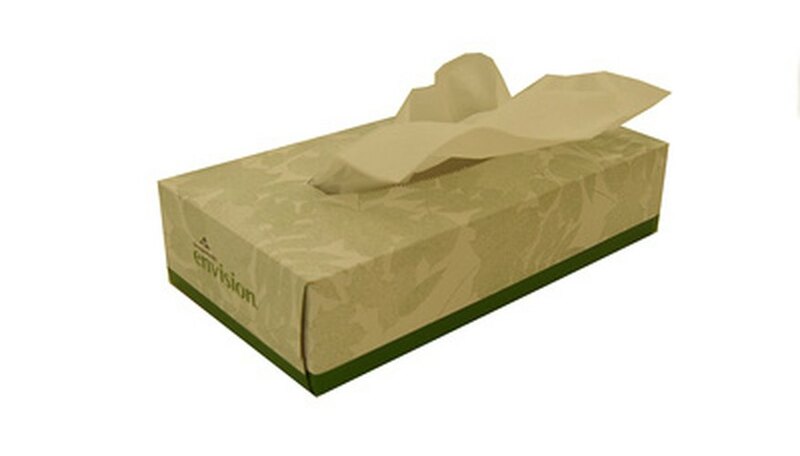 A weeping fruitless variety is also available. The fruitless mulberry tolerates alkaline soil, air pollution, heat, and brief drought, and it can be grown in most areas of North America; even trees planted at Southern California beaches have thrived. It can also grow surprisingly fast. In warm climates, a fruitless mulberry can grow 20 feet high and 20 feet wide within three years. The crown is dense and lush. 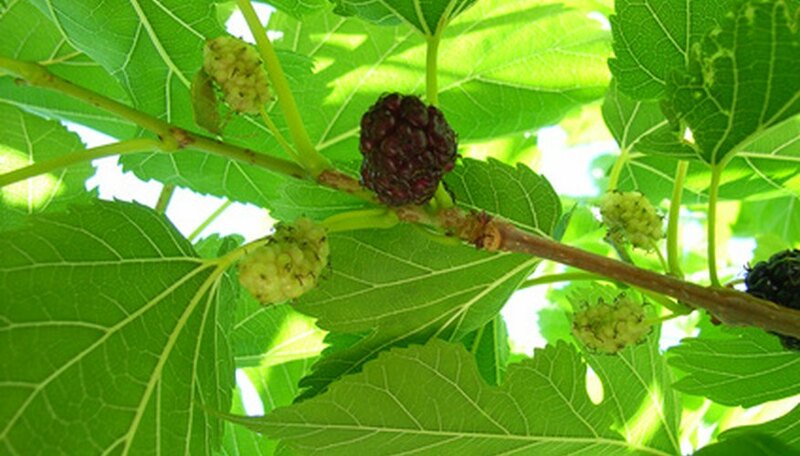 Because of these traits, the fruitless mulberry is often planted as a shade tree. The fruitless mulberry is an invasive tree, and the roots will heave up sidewalks, driveways, and patios, and may cause problems with underground utility lines. In fact, in German folklore, the devil polished his boots on the troublesome roots of the mulberry tree. Because of its fast growth rate, the mulberry tree also has brittle wood; ice storms, high winds and heavy snow may cause limbs to break. The female white mulberry produces messy, sweet fruit and is often avoided. However, the male will produce small flowers in the spring, releasing pollen that triggers allergic reactions in many people. In a Japanese study, white mulberry leaves were shown to contain compounds that reduce arterial plaque or atherosclerosis. A separate Japanese study found that white mulberry leaves also contained a compound that slowed sugar uptake after a meal, which would help control diabetes. Although both studies were not human trials, a 2001 study in India did use volunteers. In this study, over a four-week trial, diabetic men taking a powdered white mulberry leaf supplement had reduced blood glucose, LDL-cholesterol and triglyceride levels.